Despite advances in detection and treatment, cancer remains a source of pain and distress to patients and of complex challenges to the loved ones caring for them. The trend toward shorter hospital stays in particular has increased the physical, psychological, and financial burden on caregivers, often leading to adverse effects on patients. 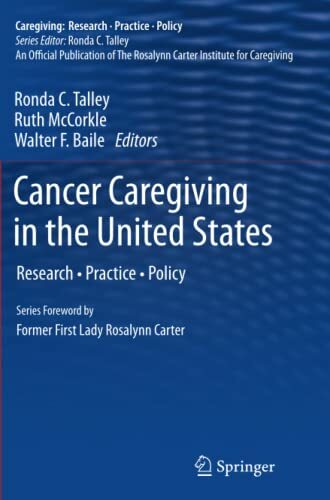 Cancer Caregiving in the United States illuminates these complex concerns with authoritative detail. 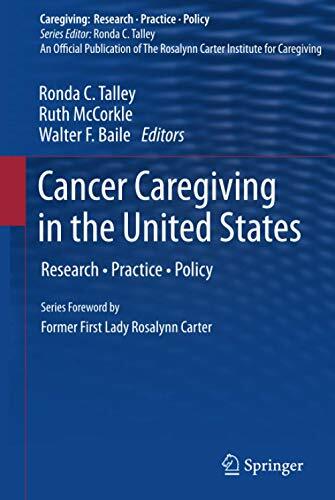 This wide-ranging volume provides a comprehensive survey of cancer-related issues, including those affecting the care triad (patients-family members- professionals) and quality of care as well as the numerous physical, emotional, and financial challenges that caregivers may need to confront. Sources of caregiver difficulty at each stage of the disease, from diagnosis to end of life, are explored. Each chapter analyzes its topic in terms of practice, research, education, and policy, providing a wealth of literature reviews, assessment and care models, interventions, and recommendations for future study and practice. Caregiving issues for cancer patients with long-term, short-term, and intermittent needs. Family caregivers as members of the treatment team. The impact of health disparities on caregivers. Cancer care policy and advocacy. End-of-life issues for cancer caregivers. Legal, financial, and ethical issues. 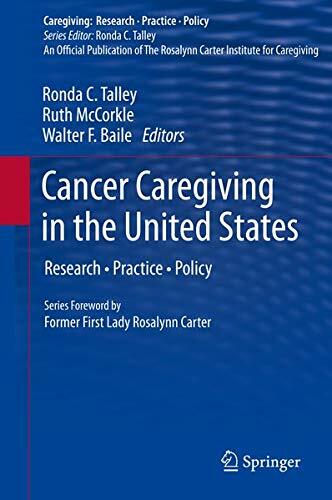 Cancer Caregiving in the United States is a core reference for researchers, professionals/scientist-practitioners, and graduate students in such caregiving fields as clinical psychology, social work, nursing, public health and medicine, social policy, and educational policy. Ronda C. Talley, PhD, MPH, is Professor of Psychology at Western Kentucky University. Her prior work experience includes providing leadership on caregiving issues and organizational development as Executive Director of the Rosalynn Carter Institute for Caregiving; working with national government groups to promote caregiving issues as Associate Director of Legislation, Policy, and Planning/Health Scientist for the Centers for Disease Control and Prevention, U.S. Department of Health and Human Services; and promoting the science and practice of psychology in the schools as Associate Executive Director of Education and Director of School Policy and Practice at the American Psychological Association. Dr. Talley, as Adjunct Associate Professor, taught ethics and legal issues in school psychology at the University of Maryland, College Park.Dr. Talley received the Outstanding Alumni Award from Indiana University and the Jack Bardon Distinguished Service Award from the Division of School Psychology of the American Psychological Association. She serves on the national board of the American Association of Caregiving Youth. Dr. Talley may be reached at 1906 College Heights Boulevard, GRH 3023, Bowling Green, KY 42101; by telephone at (270) 745-2780; or via e-mail at Ronda.Talley@wku.edu. Ruth McCorkle, PhD, FAAN, is the Yale University Florence S. Wald Professor of Nursing and Professor of Epidemiology and former Director of the Center for Excellence in Chronic Illness Care. In addition, Dr. McCorkle is currently the Director of the Psycho-oncology program at the Smilow Cancer Center at Yale New Haven Hospital. She has won numerous awards recognizing her outstanding contributions to nursing science, cancer leadership, and psycho-oncology. Dr. McCorkle was elected both to the American Academy of Nursing and the Institute of Medicine. She has received the Nurse Scientist of the Year Award by the American Nurses Association, the Distinguished Research Award from the Oncology Nursing Society, and the Bernard Fox Memorial Award from the International Psycho-Oncology Society. In 2011, she received the Holland Distinguished Leadership Award from the American Psychosocial Oncology Society (APOS), the highest award given in the field of psycho-oncology. Dr. McCorkle was the first non-medical training grant award winner from the National Cancer Institute (NCI) and is thus credited with opening the door for other non-medical researchers to secure funding for training from the NCI.Dr. McCorkle may be reached at the Yale University School of Nursing, 100 Church Street South, P.O. Box 9740, New Haven, CT 06536-0740; by phone at (203) 737-5501; or via e-mail at Ruth.McCorkle@yale.edu. Walter F. Baile, MD, is Professor of Behavioral Science and Director of the Program in Interpersonal Communication and Relationship Enhancement (I*CARE) in the Department of Faculty Development atThe University of Texas M. D. Anderson Cancer Center. Dr. Baile has brought his talents in teaching communication skills to many parts of the world and has led workshops and other teaching programs in Japan, Italy, Germany, and other sites around the world. Currently, he participates in a National Cancer Institute sponsored program to train oncologists to teach communication skills. Dr. Baile produced "On Being an Oncologist," a video for cancer clinicians starring the actors William Hurt and Megan Cole and is author of over 150 scientific papers, book chapters, and abstracts on clinician-patient communication. Dr. Baile’s latest project is development of the MD Anderson Library of Communication Skills in Oncology, a repository of video and contemporary educational tools to drive home the important messages of how to communicate with cancer patients. He can be reached at The University of Texas M. D. Anderson Cancer Center, 1515 Holcombe Blvd., Box 135, Houston, Texas 77030-4009; by phone at (713) 745-4116; or via e-mail at wbaile@mail.mdanderson.org.